I usually save recipes for Tuesdays, but this treat I am about to share with you blew my mind and I just really need to tell you about it today. 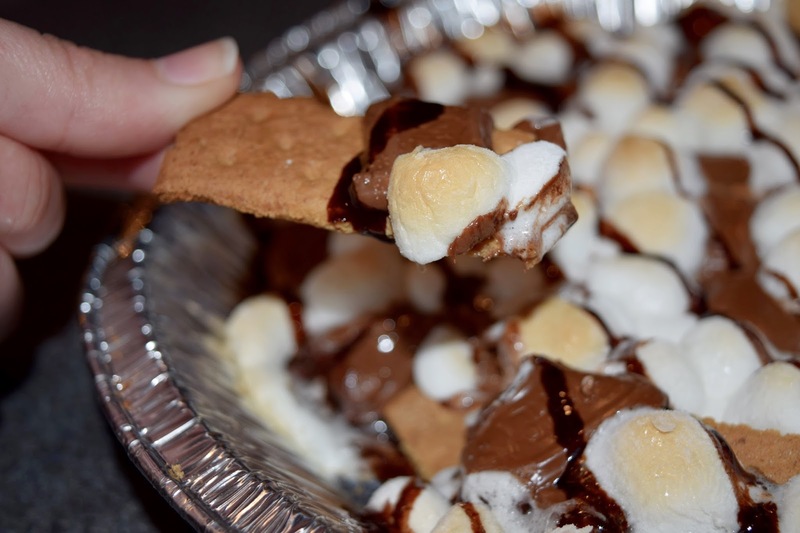 S'mores nachos. I don't know why it took me 26 years to discover this, but I am thankful it didn't take 27. I love s'mores over a campfire just as much as the next person, but unfortunately we do not have a fire pit in our backyard. 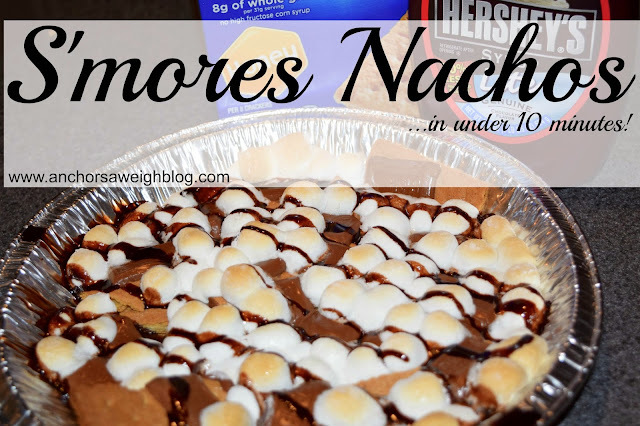 I wanted to figure out a way to still enjoy one of my favorite desserts inside, and s'mores nachos were the answer. Parker and I decided on the fly to have a little date night in, and I wanted to whip up a quick snack we could enjoy while watching a movie. These s'mores nachos were made in under 10 minutes and ready before Parker even knew I was making anything. Super quick and super yummy equals my kind of treat! Before I stop teasing and actually share the recipe, I will say one more thing. One of the great things about this dessert is quantities are completely up to you. Make as much or as little as you want. Love marshmallows? Cover your plate with marshmallows until your heart is content. Like chocolate syrup? Go nuts. You get the idea. This is something you can make without having to reference a recipe or worrying that it might not come out right. Trust me, it will. Directions: 1. Preheat oven to 350 degrees and spray a pie plate or round dish with cooking spray. 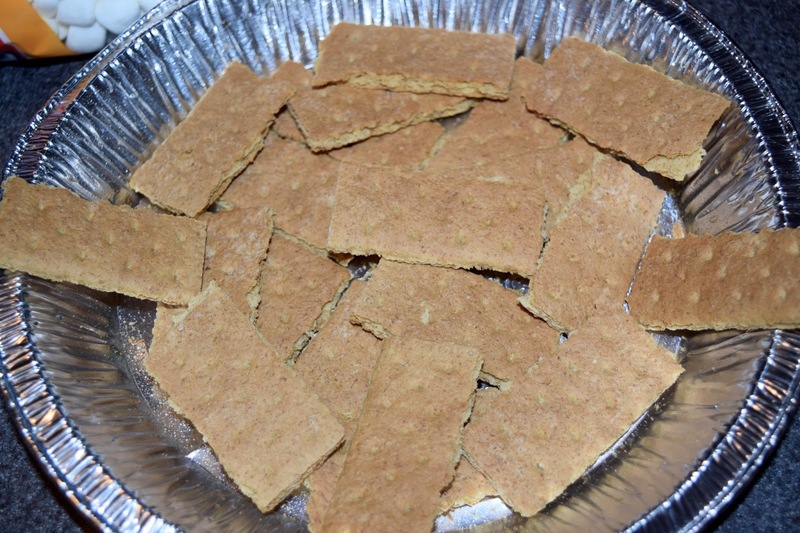 Arrange Honey Maid Graham Cracker quarters along the bottom of the pan. 2. 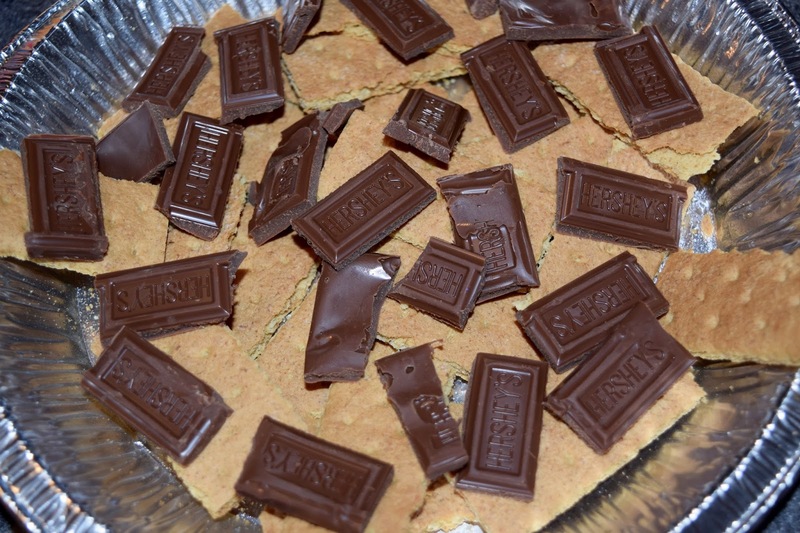 Top with Hershey's Milk Chocolate rectangles. 3. Top with Kraft's Jet-Puffed Mini Marshmallows. 4. And finally, top with Hershey's Chocolate Syrup. Bake in the oven for 7-8 minutes. Let cool for about a minute and enjoy! What are some of your favorite s'mores recipes for summer? These look so good! 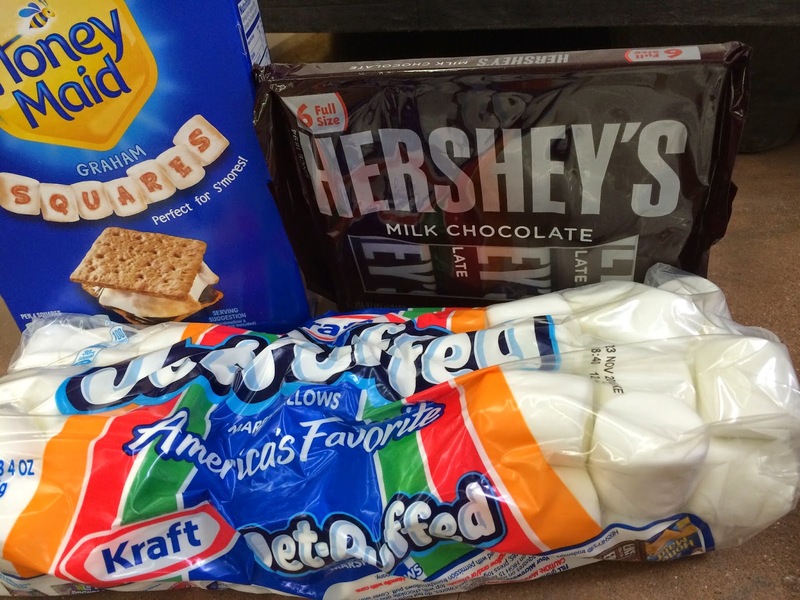 I'll have to give them a try - we LOVE s'mores around here! 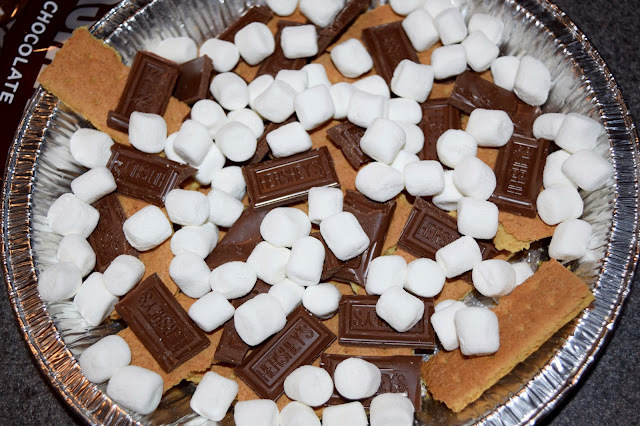 I've made cookies and bars wit s'mores ingredients, and they're both pretty good, but I LOVE the real thing! 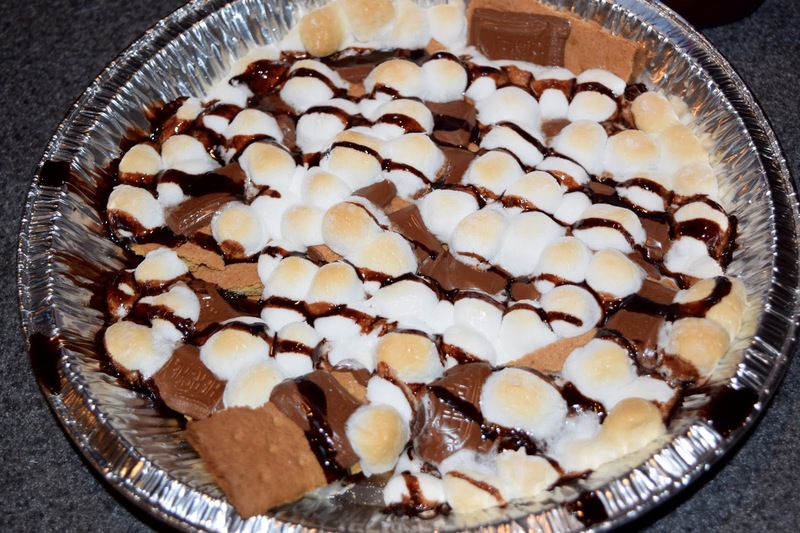 If I liked marshmellows I would totally make this! I like to BURN marshmellows, but not eat them haha. Oh my goodness! My kids (and my husband) would be in HEAVEN if I made this!!! Ooh! Loving the new look! And the s'mores nachos look so decadent! Okay, I am not normally an "original" s'mores fan. But, these nachos look amazing! I am definitely going to have to pin and try for later! 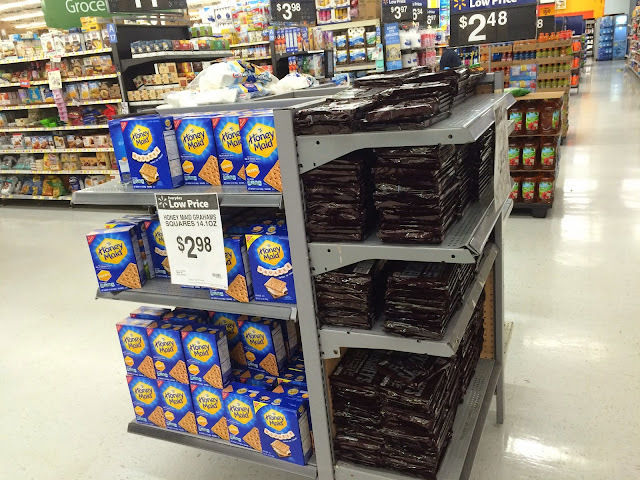 If only I could just reach through the screen and eat some. Ack! This is the most amazing thing I have ever encountered. It will be happening in our house! Oh heaven...where have you been all my life?